and his comrades along with postcards of the areas that he visited, it is a wonderfully rich source for information about the experience of war. 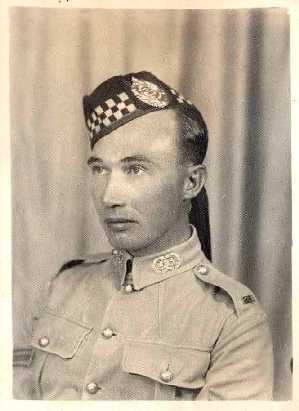 Hugh was a member of the 1st Battalion of the Argyll and Sutherland Highlanders and he fought with Montgomery's 'Desert Rats' from Asmara beside the Red Sea in 1941 through El-Alamein in 1942 to the Holy Land and then to Italy. 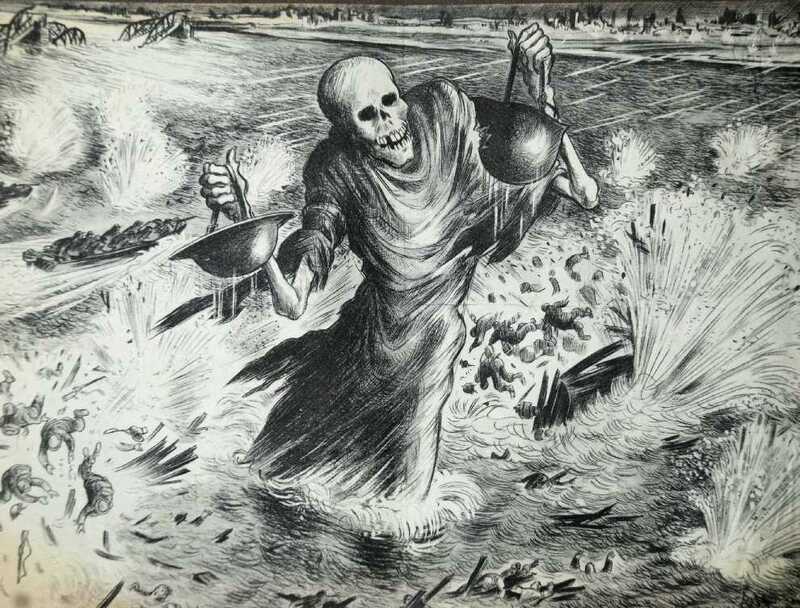 Whilst in Italy, Hugh and his comrades in arms experienced a bombardment of propaganda leaflets created by the German war machine. 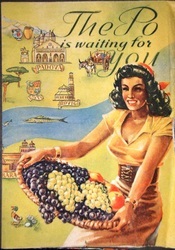 One of the leaflets, shown here, appears from the front like a typical advertisement for the River Po region in Italy showing picturesque places and colourful illustrations. When you open the leaflet up, the image is one of destruction in stark black and white with Death in attendance, insinuating that this is what awaits the allied forces approaching the region.